Canford Magna Golf Club was again our chosen venue for the dinner dance; unfortunately for the last time as the golf club is closing at the end of March. 59 members and guests attended and enjoyed a superb meal produced by the catering team. Music on this occasion was provided by our club member Shaun Loveless. Shaun has been DJ’ing for many years and this was his last disco, he has decided to call it a day and retire. We wish him all the best for the future together with our thanks for a very good evening. 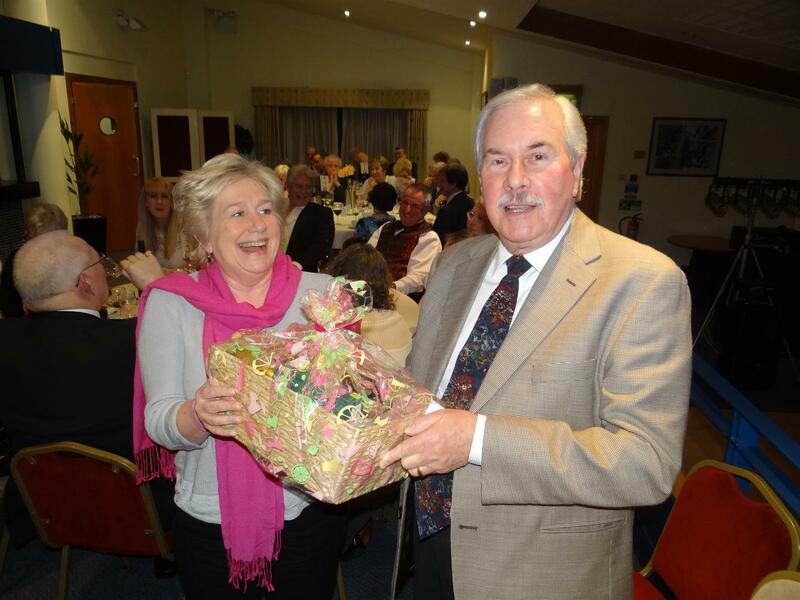 As is usual at our dinners, we have a free raffle for a small hamper, which was put together by Patricia Lodge and won by Sarah Price. We now have to start looking for another venue for next year, keep your eyes open for details as things develop.